Austria’s music scene spans a huge range of styles and traditions, from the classical music of Mozart, Strauss, and Haydn to Schoenberg’s early 20th century 12-tone compositions (which featured in the 2015 film Woman in Gold). There’s also the electronic and Schlagermusik mixes of the late 20th century and today. On a trip to Vienna there are a multitude of opportunities to watch live performances in these genres; here are our 10 favorite venues. 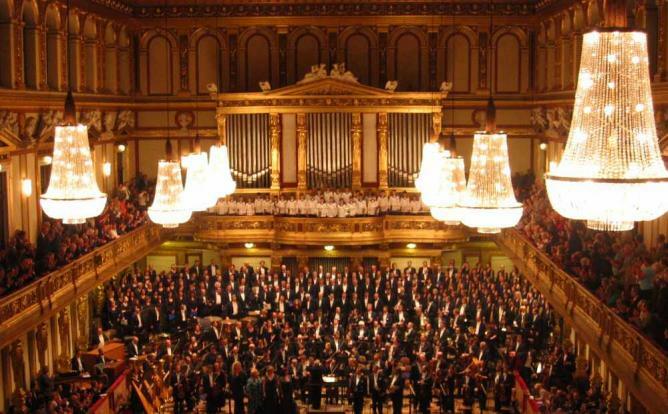 To see the world-famous Vienna Philharmonic Orchestra (VPO), head to the Musikverein, located in the city center and boasting the sublime acoustics of the Großer Saal, one of the greatest concert halls in the world. The building’s interior features a lot of gold, and is really worth seeing, even if only for a daytime visit. Tickets for the VPO are sold exclusively at their own box office (separate to Musikverein’s), just a two-minute walk away. It’s extremely difficult (and expensive) to obtain a seating ticket in high season, due to the sheer popularity and number of subscribers to the orchestra, but standing tickets are often available. A soirée concert (weekday) is a realistic option for tourists or those just fancying a musical jaunt. 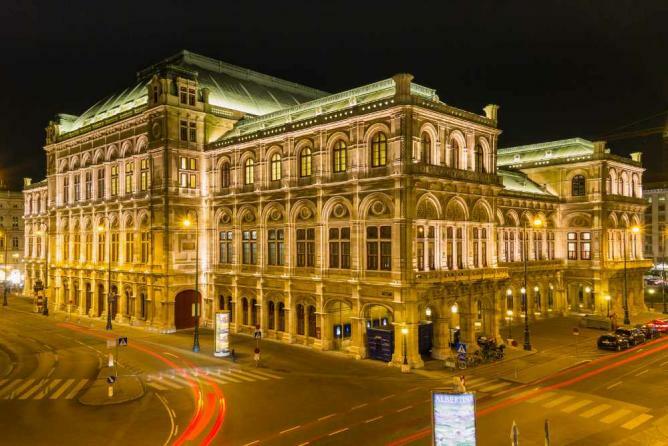 Once called the Vienna Court Opera (which gives you an idea of the class and style of the place), the Wiener Staatsoper or Vienna State Opera, is a 19th-century opera house listed among the best in the world. Time your right though, as there are usually two half-hearted performances a week of the famous Mozart operas, often featuring the least famous singers and performers. The trick is to pick a less well-known opera or one which isn’t played as regularly. Even more expensive and exclusive than the Musikverein, expect some serious queuing unless you’ve got a lot of cash to throw at tickets. A great alternative to the busy, expensive and sometimes overblown Wiener Staatsoper, the Volksoper allows up-and-coming (though definitely not amateur) actors and singers to take to the stage, performing a variety of popular and less well-known operas. With cheaper tickets and more of a local crowd, the Volksoper is well worth the travel (being a little beyond the center of town) and it’s more likely that seating tickets will be available. This club and live music venue has been a house of music since the ’80s and is still very important to the music and nightlife scene of Vienna today. Situated in a disused tunnel under the Danube river, you can hear this place long before you see it. Voted one of the best clubs in the world, Flex is an alternative night out to one at the opera, but showcases the best in its music genre: indie-electro. Luckily, they serve free sparkling water; a must when dancing the night away amidst the sweating crowds. Up-and-coming DJs play here on Fridays and Saturdays to a lively and excitable crowd. If electro is your style, then this is the place to watch new talent emerge and develop. 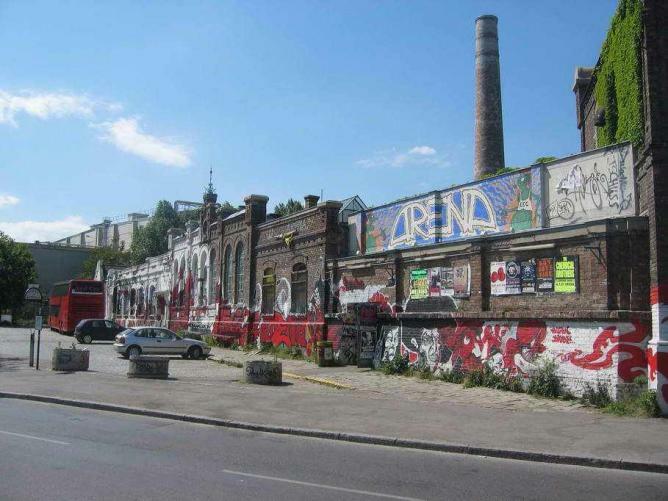 The club has gradually developed a fish theme (the name means ‘dazzling trout’), with fish graffiti abounding on the walls inside and out, and a trail of fish painted along the banks of the Danube to draw people in. Set up as part of a project to bring jazz music to Vienna, this live music venue and bar plays host to a number of national and international jazz artists. 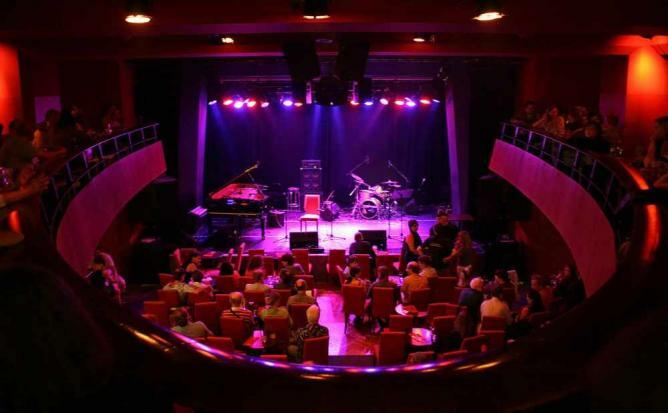 It also organizes events such as “Jazz for Kids.” The building itself has long been a destination for international artists, since the 19th century in fact. So a visit to Porgy and Bess makes for a cultural, historical and, obviously, musical experience. The bar at the top of contemporary 25hours Hotel plays host to a swing and soul evening every Wednesday. For a quieter and less crazy evening out compared to the other options on this list, Dachboden is the perfect place to watch the sun set while listening to some heart-warming tunes. 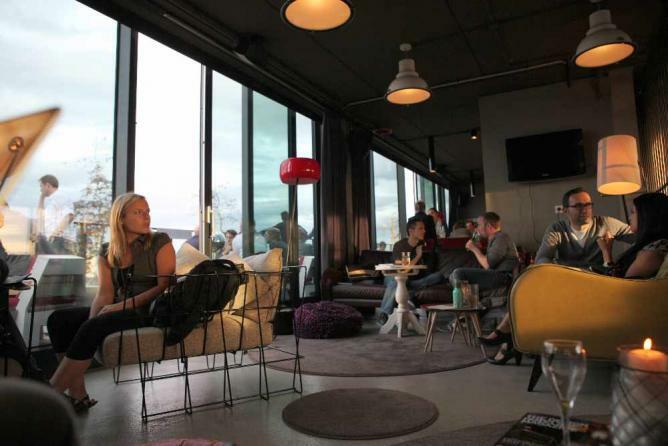 The clue is in the name here: Dachboden means “loft,” so customers here can expect a great view across the city’s rooftops and skyline. Arena is infamous for its free-spirited past, with squatters and communes in the ’70s, with an insane amount of graffiti covering the walls (and the surrounding area). 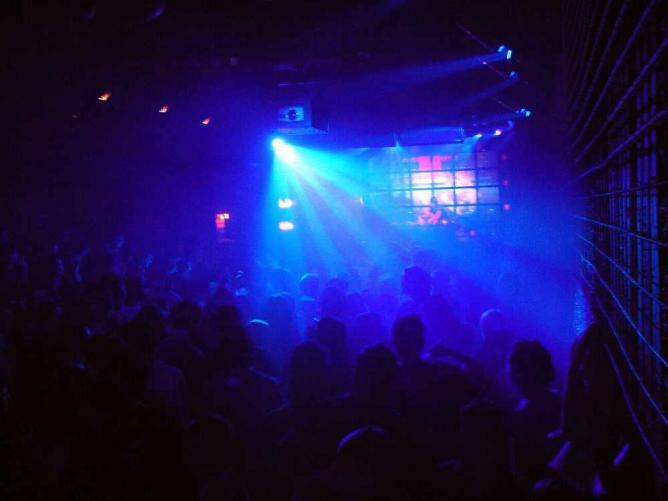 The site is comprised of different buildings, which house dance floors and bars with varying themes and music styles. Bands play both indoors and outdoors (weather permitting), and this really is a must to discover the banging music scene among Vienna’s younger generation. 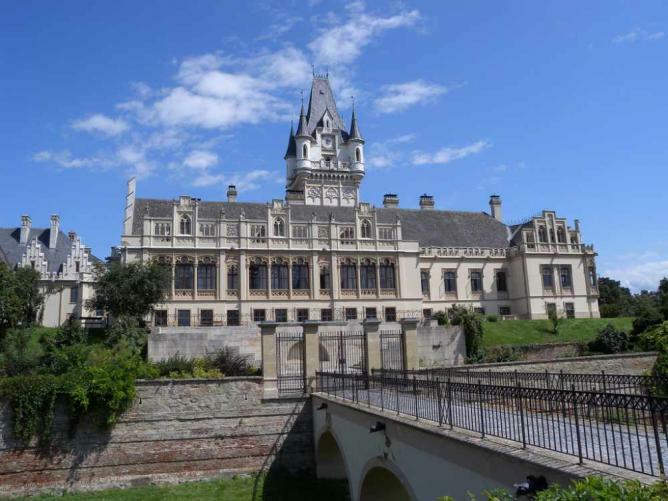 Less than an hour’s drive from Vienna, Grafenegg is worth a visit for its famous classical music concerts, held in the grounds of Grafenegg Castle. With a huge repertoire and the biggest names in the classical music scene, the Grafenegg Festival is a magical experience and features a number of international guests along with the Tonkunstler Orchestra – the resident ensemble. Tickets often sell out in advance, so plan your visit well. For a taste of Schlagermusik, head to the Wiener Stadthalle (Vienna City Hall) for the annual Schlagernacht des Jahres, featuring the best of the German-speaking world’s Schlager artists. This genre of music, a mixture between traditional folk, pop, and electro, is a bit like the Austrian version of Marmite: you’ll either love it or hate it. The City Hall itself is a cultural center in the city and has won accolades as a top arena in Europe, receiving one million visitors per year .